Take expanded USB-C connectivity on-the-go with you. 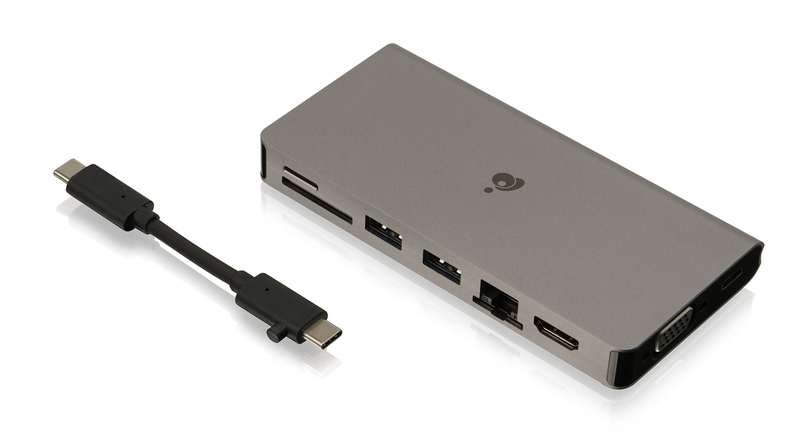 The IOGEAR USB-C Pocket Dock with Power Delivery 3.0 is a compact travel companion that expands your laptop or tablet's USB-C port and is compatible with Thunderbolt 3-enabled computers. 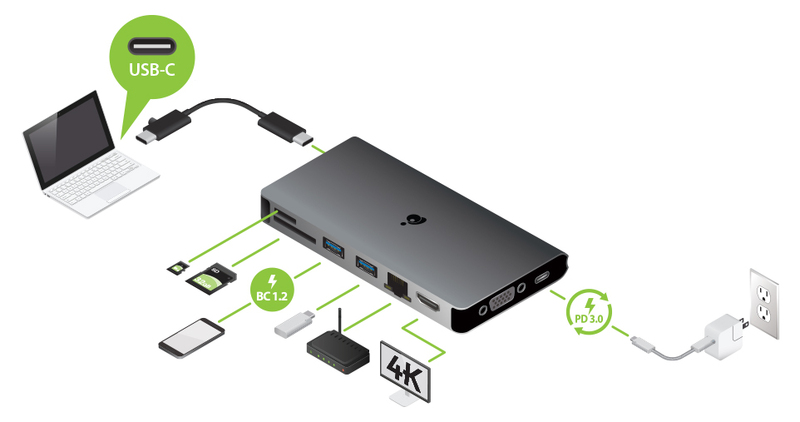 The Pocket Dock is equipped with eight (8) ports that include a USB-C power charging pass-through port, two high-speed USB 3.0 expansion ports, a Gigabit Ethernet port, SD/MicroSD card reader/writer ports, and a VGA and 4K HDMI® display connector. Never worry about running out of power while using the IOGEAR USB-C Pocket Dock. Attach your laptop or tablet's original USB-C AC charger to the dock's USB-C port to deliver up to 100W* of power to all dock-connected devices. Read and write both SD and MicroSD card content and efficiently transfer full-resolution photos, documents and videos between your laptop or tablet and external storage devices. 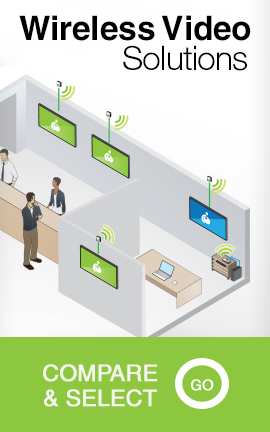 Add an HDMI monitor for a more complete visual experience. 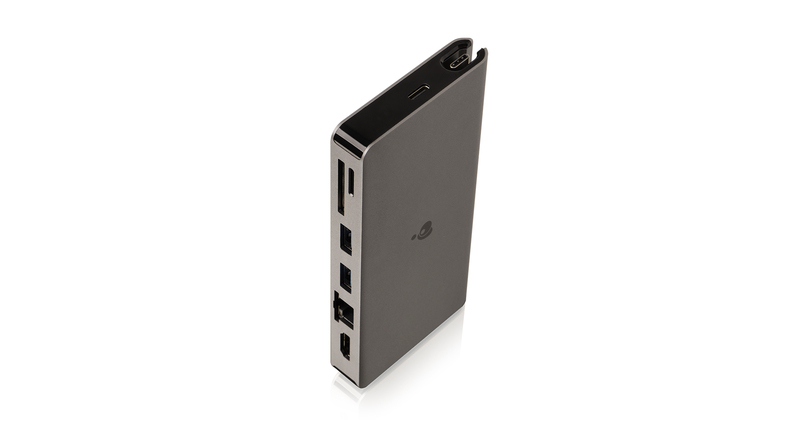 The Pocket Dock supports sharp, crystal clear image resolutions up to 4K quality or high-definition 1080p through its VGA connector. Add two USB Type-A 3.0 ports to your laptop or tablet's USB-C port to use your existing USB peripherals such as your favorite keyboard and mouse, printer, or HDD with your new USB-C-enabled device. The Pocket Dock is capable of transferring pictures, video and music at high-speed data rates reaching 5 Gbps and is backwards compatible with USB 2.0 and 1.1 devices. *Maximum of up to 85W of power can be delivered to the laptop after deduction of 15W used by the docking station.Pass-thru power delivered to the laptop is dependent upon the capacity of your USB-C power supply. Ex. If your USB-C power supply is 60W, then the maximum power can be delivered to the laptop is 60W-15W = 45W. * Supports a single VGA or HDMI display only - dual monitors are not supported. ** Maximum of up to 85W of power can be delivered to the laptop after deduction of 15W used by the docking station. 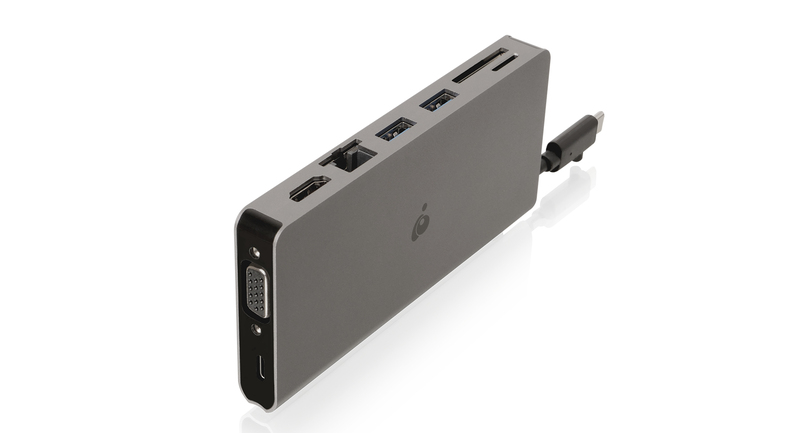 *** Pass-thru power delivered to the laptop is dependent upon the capacity of your USB-C power supply. Ex. If your USB-C power supply is 60W, then the maximum power can be delivered to the laptop is 60W-15W = 45W.